FROM MDAH RELEASES — The Mississippi Department of Archives and History celebrated a $1 million contribution from Blue Cross & Blue Shield of Mississippi with the first inside peek at the museums. 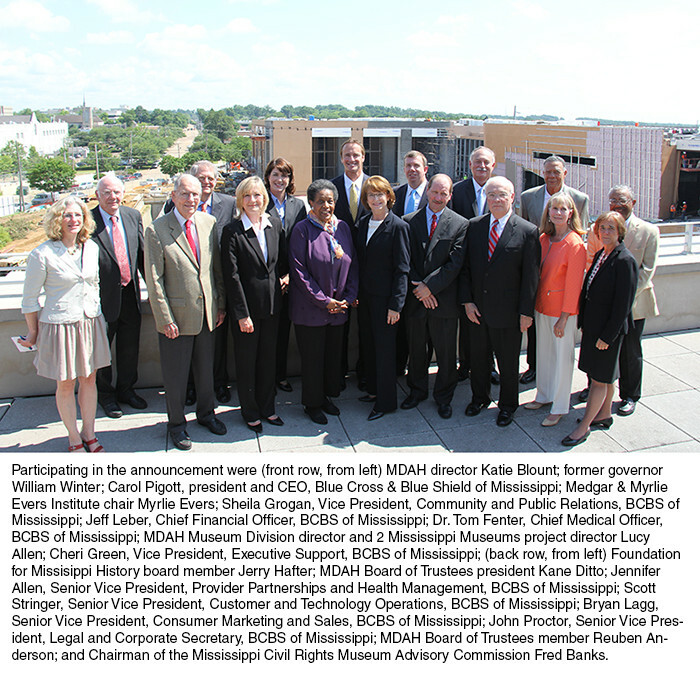 Known for its support of Mississippi’s communities, arts, and culture, Blue Cross & Blue Shield of Mississippi was one of the initial contributors to the 2 Mississippi Museums Project in 2013. The gift is funding the orientation theater, which will be housed in the Museum of Mississippi History, where visitors will begin their museum journey.